The 2017 Formula 1 has provided plenty of thrills in the first two races. Sebastian Vettel and Lewis Hamilton currently top the ladder with 43 points each, after alternating in first and second place at the Australian Grand Prix and Chinese Grand Prix. 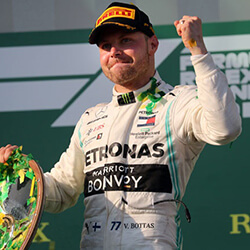 It looks like the championship is shaping up into a ding-dong battle between Ferrari and Mercedes, with Vettel and Hamilton’s respective teammates, Kimi Raikkonen and Valtteri Bottas, at present lying fifth and fourth in the drivers’ championship. 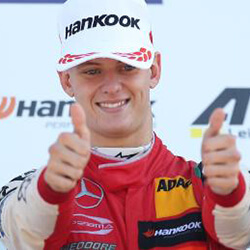 The wild card is Dutch youngster Max Verstappen, driving for McLaren. He is third on the ladder, after coming fifth in Melbourne and third in Shanghai. So Hamilton, Vettel and Verstappen look like the drivers Australian punters should be focusing on for Sunday’s Bahrain Grand Prix, and the Russian Grand Prix in Sochi on 30 April. 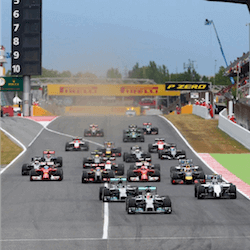 The fifth race of the season, on 14 May, is also going to draw a lot of motorsport punters, as it is one of the oldest and most prestigious Formula 1 races on the calendar: the Spanish Grand Prix in Barcelona. Now held at the Circuit de Barcelona-Catalunya, the history of the Spanish Grand Prix stretches way back to 1913. Interrupted by both World Wars and the Franco regime, the race returned as a Formula 1 fixture in 1968. The prestigious stadium in Catalonia’s capital, with 16 turns and two long straights, has been its permanent home since 1991. The Spanish Grand Prix consists of 66 laps of the 4.655km track. 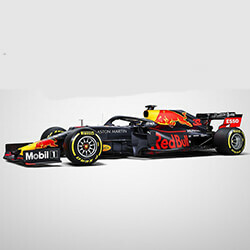 Verstappen and his Red Bull-Tag Heuer team are the reigning champions, after winning last year’s race in a time of one hour, 41 minutes, 40.017 seconds. Earlier this year, the Catalunya circuit hosted Formula 1 winter testing, so punters will be looking at those results to identify the drivers that handle this circuit best. In the first week of testing, Bottas posted the fastest lap time of one minute, 19.310 seconds, so it looked like Mercedes had the edge. 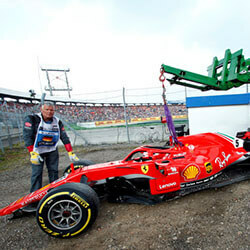 However, on day eight Raikonnen in his Ferrari went round in one minute, 18.634 seconds. The two Finns look like the drivers to beat in Barcelona, although their teammates probably have other ideas. Reigning champ Verstappen can’t be ruled out either: in the Catalunya testing, he managed a lap of one minute, 19.438 seconds.